Weekends are important to us. Like super important. 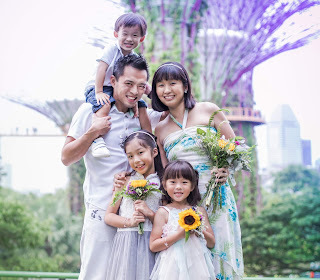 That is because weekends usually mean family time and assuming that the hubby is not away for sailing, even if he takes time off to go for his soccer game sometimes, we still have plenty of time to spend together on Saturdays and Sundays. And yup, with him not being around on most weekdays, it means a lot to the kids. And to me, of course. So, that is why the kids do not have anything planned on weekends and I don't intend to let them take up any more enrichment classes too. We leave those two days a week free for us to do..... whatever we wanna do. 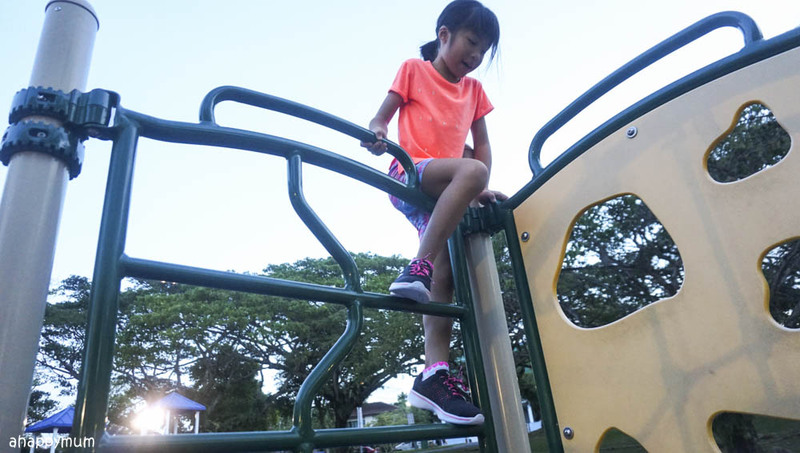 It can be exploring a new playground, doing a family sport, catching a movie, going on hikes, or it could simply mean just being at home (which very rarely happens, in our case) and spending time together as one family. In July's "Happiness is", it's about cherishing the weekends and making the most of every moment. We are a very outdoorsy family, which you probably know by now. We don't like to laze around much, we love getting up close with nature, and we don't mind getting all wet, dirty, sweaty and sandy. The beach is probably one of our favourite places to be and I'm always very thankful for a husband who doesn't mind getting wet with the kids, who teaches them about marine life and hunts for animals with them, who takes the time to let the kids learn about and appreciate the wonders of life. While he hunts for animals and insects, I'm usually the one who helps to pick seashells and build sandcastles. Yup, we all have our roles to play, right? The calming sea always reminds me of how I need to slow down my footsteps in life, how it's not always about asking the kids to "Hurry up! ", how happiness is often found in the simple, fleeting moments. I totally understand now that while the days might be long when you have kids, the years are short. Too short. So yes, cherish, just cherish. 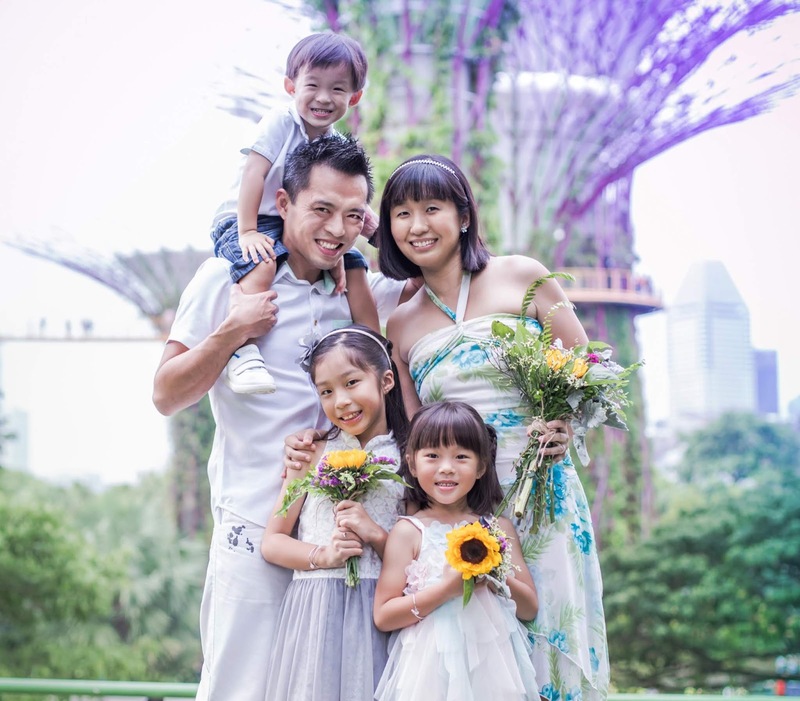 It's nice to have a sporty hubby too because while he makes me wish that I was more fit and toned at times, he is also the one who strives to build up a healthy lifestyle for the family. 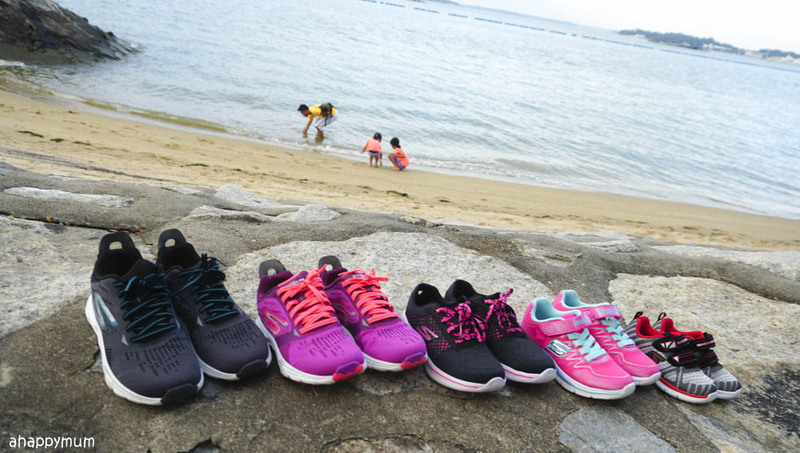 See our new running shoes from Skechers, our all time trusted footwear brand? Yup, we are all getting warmed up for Shape Run 2017 which will be happening next week! Stay tuned to this space and our social media for more updates soon. 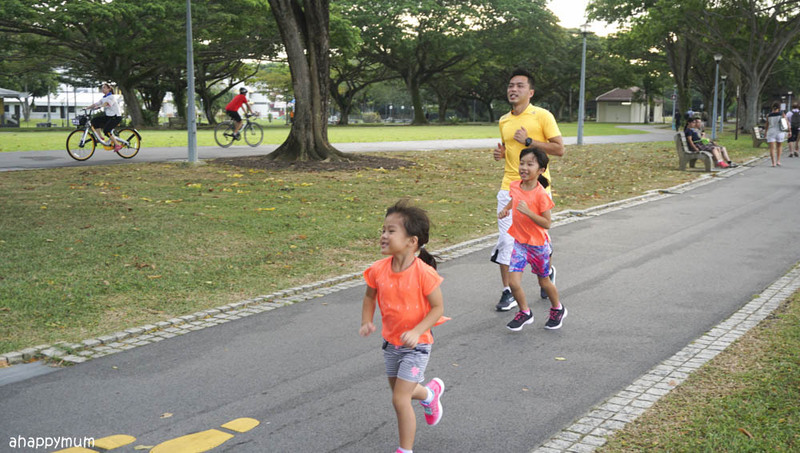 This is gonna be the first time the boy is participating in a real run (yes, one that he actually has to use his two feet to run, or at least walk) so we are all psyched up about running as a family of five in the 1.8km Family Fun Run. 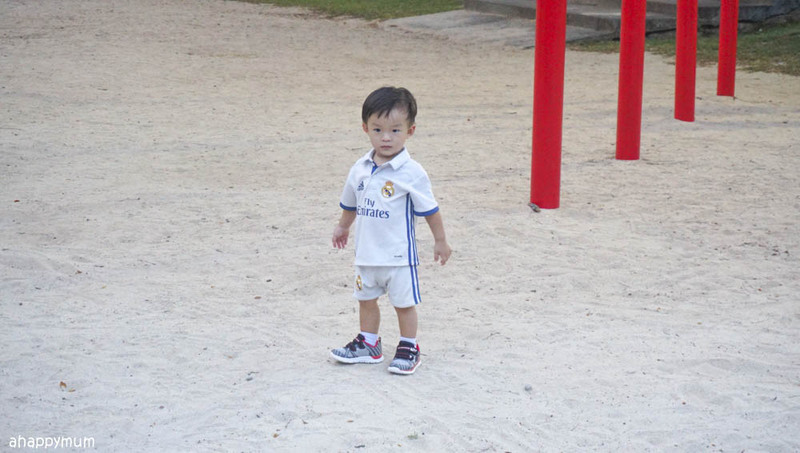 See how cute he looks in his new, toddler sized shoes from Skechers? Yes, while slippers, sandals and pretty shoes are also needed, I think we all feel most comfortable when we are out in our running shoes. We also made time to visit the hubby's alma mater for an alumni event and I must say it turned out to be more enjoyable than I expected. The girls spent a good portion of the morning looking for mimosas, watching ants and climbing the treehouse umpteen times. 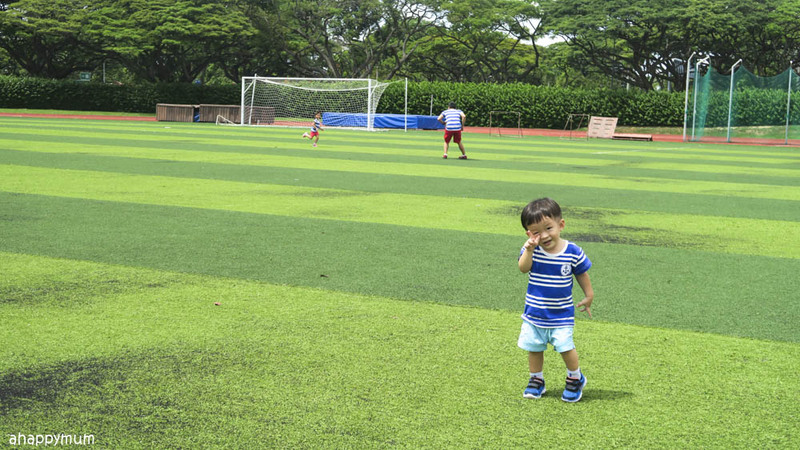 Despite the scorching weather, we also went to the track and the field so that the kids could run around and have a race. I remember how Ariel sat down on the track to bawl when she saw that she wasn't going to outrun her elder sister. Yup, we've been through it once with the firstborn and while it's gonna take a while for this one to learn about sportsmanship and that winning is not everything, we'll get there somehow. In a similar fashion, it doesn't really matter what activity we do as a family, but the fact that we do it together. Yup, I think we tend to overlook that too often and it's a reminder for me to embrace the journey more than worry about the destination. 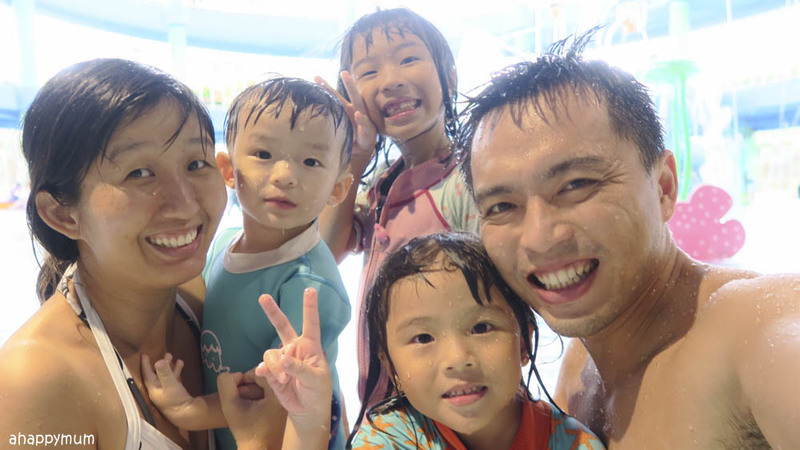 Given that my kids all love to splash around in water and are not afraid of the tallest, darkest slides, we also made it to Kidz Amaze in SAFRA Punggol (read our review here). This was all thanks to a birthday invite so we got to play for free, I kind of think it costs a little too much for me to bring the whole family here. Haha. 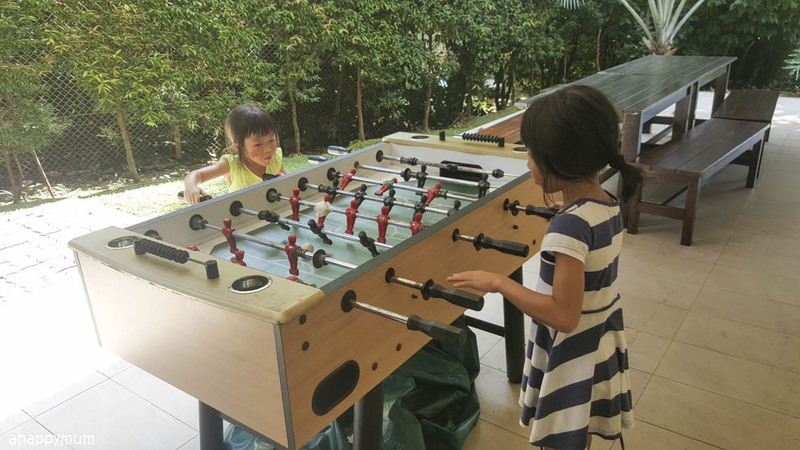 Still, it's a fun place for the kids and we can easily spend a happy afternoon here, in the shade some more. 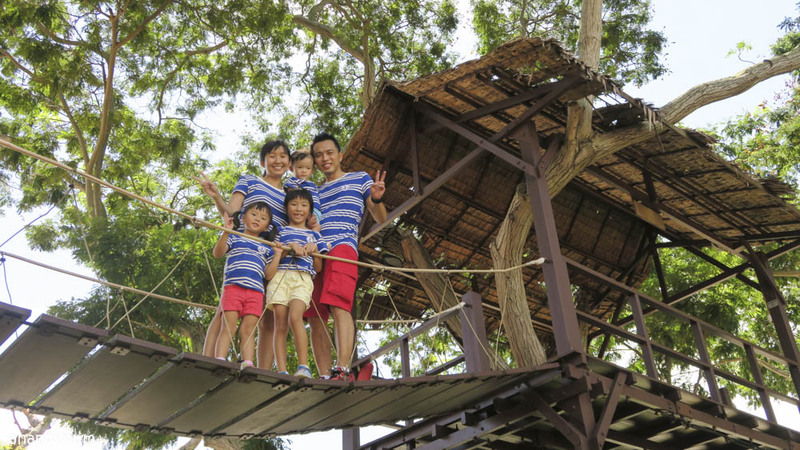 One of our biggest highlights in July is that we went for a 3D2N chalet stay! Yeap, thanks to the LTC hubby, we booked a bungalow chalet in Seaview Resorts @ Changi, which is a three-story chalet that has 4 bedrooms, 3 bathrooms, a fully equipped kitchen, a BBQ pit, a table soccer, board games, and best of all, there is even an in-house KARAOKE SYSTEM that comes with many English, Mandarin and even Hokkien/Cantonese songs! Oh, and guess what? The beach was right at our door step. Okay, I mean you have to walk on a path, open the gate and down a flight of steps but voila, you are at the beach! 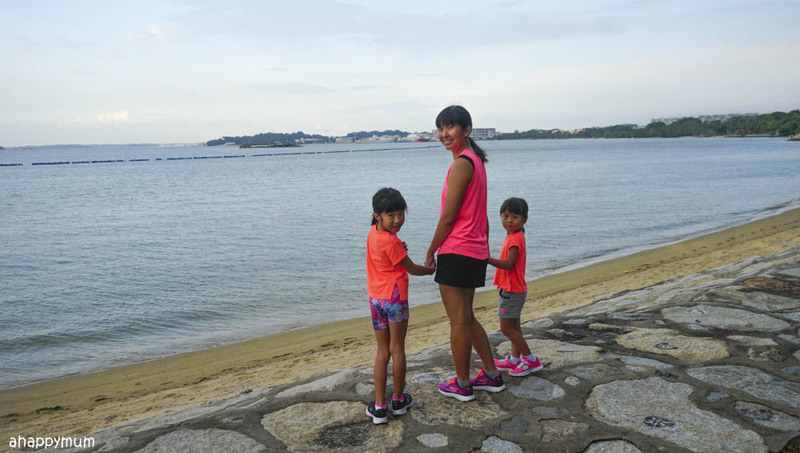 It felt like our own private beach and I was glad to have that moment with my kids. It was funny that I didn't intend to let them play in the sand because we had just checked in and were gonna have dinner soon. But they asked politely and it was hard, or rather there wasn't a valid reason in my view, to reject their pleas. 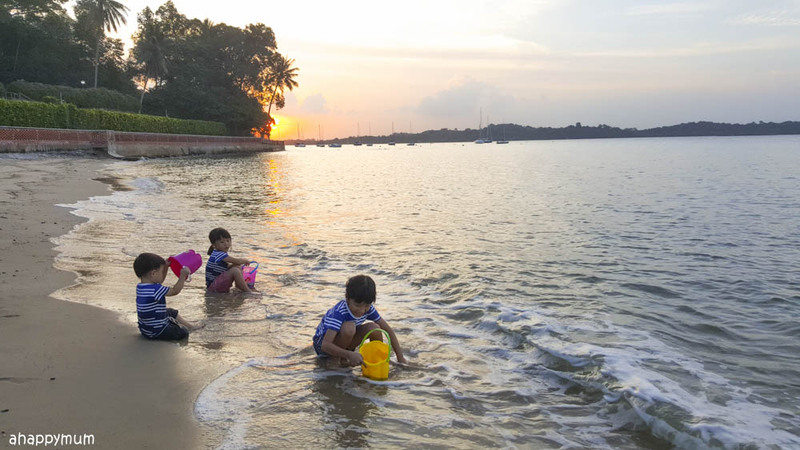 So while the hubby ran off to Changi Village to dabao dinner, my dad and I took the kids down to the beach where they decided to get all wet and sandy. How long will it be before they start to get tired of the waves, before one empty bucket isn't enough to provide all the fun, or before they start to find it yucky, messy and troublesome like how some of us adults do? Well, I hope the answer is never. So, not only did we sing, play and eat all day and night, we also hosted a BBQ session where we invited all the family members to join in. We were surprised that even our 101-year-old grandma came over to join in and I've always been amazed by how this extended family of the hubby's is so, so closely knitted. We sang our hearts out, we chatted, we feasted, we played beer pong and we just caught up on each other's lives. Despite the kids and I returning late because we went to watch the NDP Preview, some of the relatives were so spontaneous that they stayed till 1:30am and guess what? 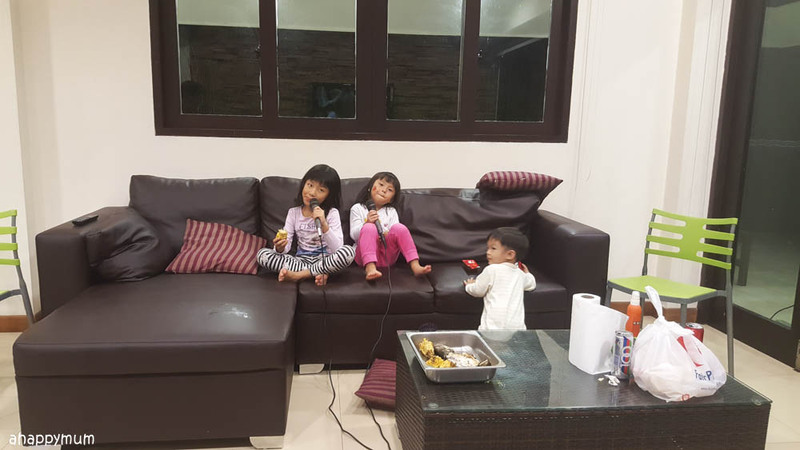 My three kids were still singing, dancing and eating supper at 2am. Yesh, they did all that and instead of choosing to fight my battles that night, I joined in the fun and enjoyed what was our last night of stay. 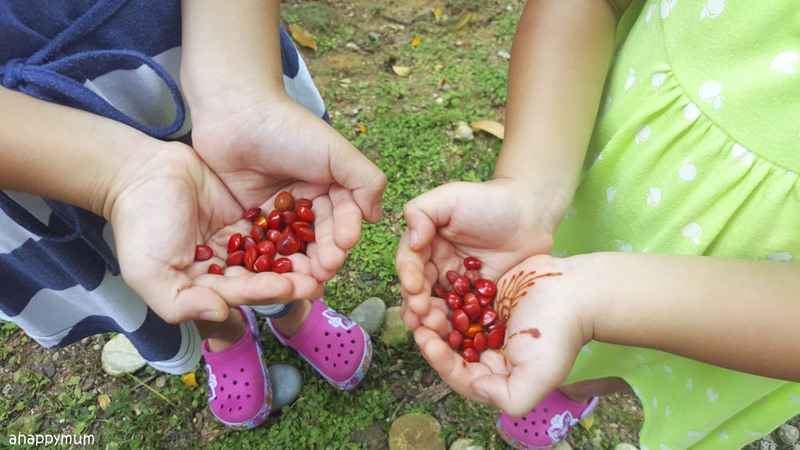 Just like me, my girls also love to pick saga seeds. Yes, don't you find it fun too? It so happened that there were these trees right outside our bungalow but the thing is, there were huge red ants crawling everywhere too. 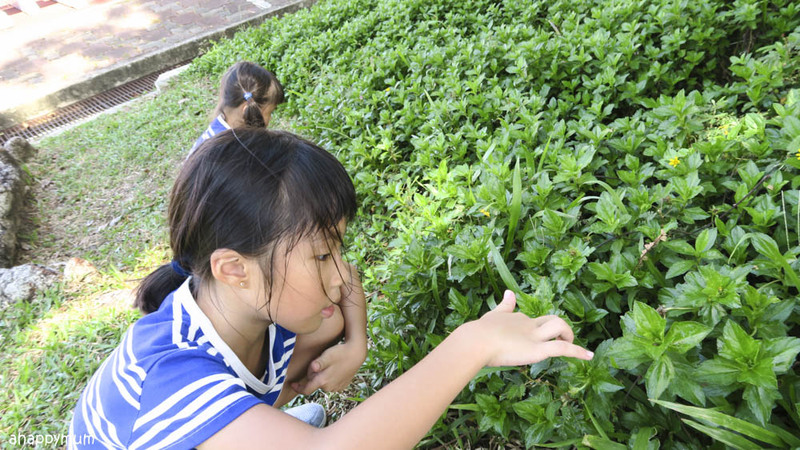 It was quite an adventure for us trying to keep away from the ants while spotting and picking up the seeds at the same time. 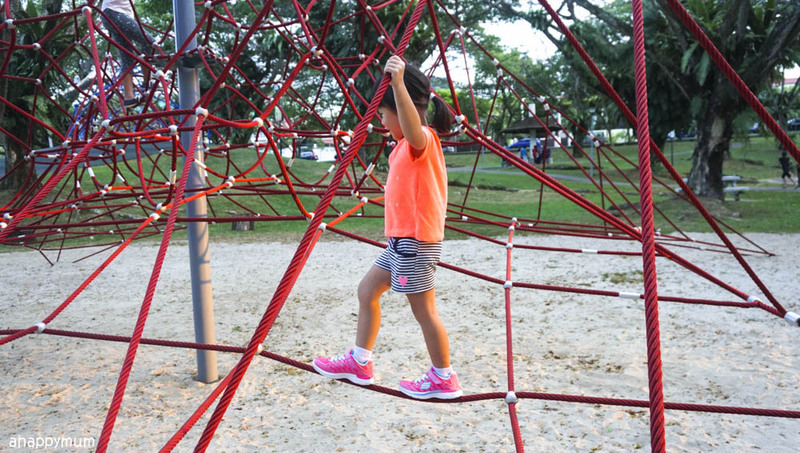 But, it was very fun and memorable and I was so happy that I decided to put away my phone, that I didn't bring along my laptop and that I got to experience all these simple moments with my kids which will become fond memories of their childhood. 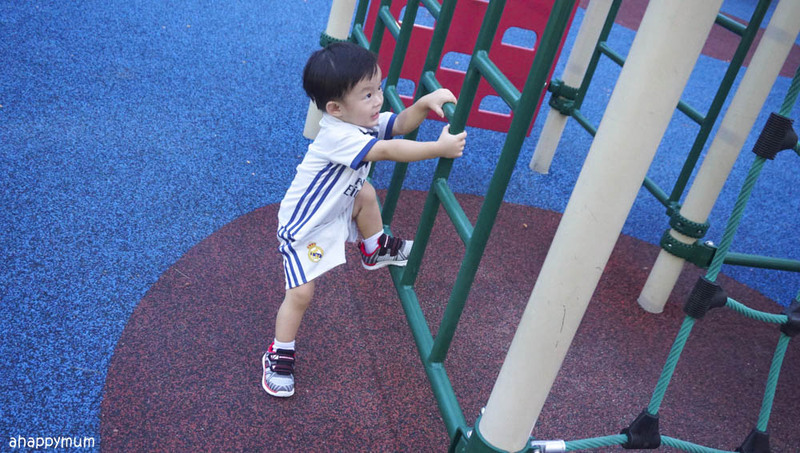 I've also been reminding myself to not become a helicopter parent and to take a step back, be it when they study, when they do their work, when they play and even when they squabble. Yup, nowadays when the girls bicker, instead of raising my voice and chiding both of them, I tell them to "go settle it yourselves and come back to me when you're done". It seems to work for them at times and for me, it just gives me more time to finish up on the cooking or the folding of laundry or just any chore that I am doing. Haha. 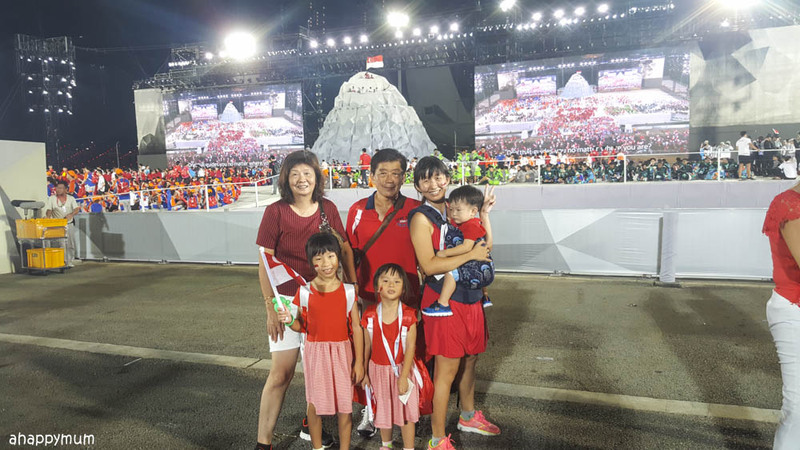 Last but not least, for the first time ever, I brought my mum and dad to watch the National Day Parade! Yes, it was for Preview 1 but we were just so thankful to get the tickets and to the Officers' Wives Club for giving us such awesome seats and for hosting us at the dinner reception too. This is the second time the kids are watching NDP but the first time we are doing it outdoors. 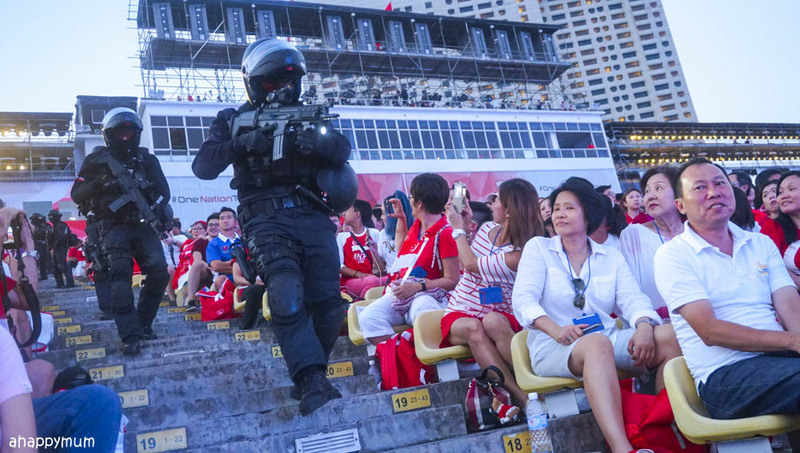 Yes, last year, it was held at the National Stadium. 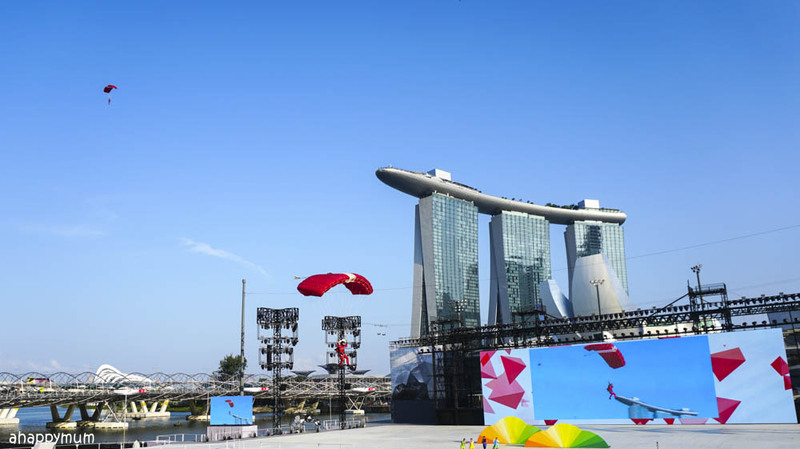 It's not that we didn't enjoy it last year (we did, very much too), but nothing is the same when you don't see the Red Lions, the fighter planes, the military capabilities display and Singapore flag flypast. So, I was so thrilled, so glad and so excited that we were going to watch it at the Floating Platform this year, woohoo! And indeed, it was a madly spectacular show! I was worried if the kids would be bored but no, they were just as engrossed as I was, especially when we were trying hard to spot the Red Lions (and ended up mistaking an eagle for it), when we were wowed by the commandos who walked down the aisle right beside us and 'shot' an 'armed terrorist', when we stood up to sing the national anthem and recite the pledge, and when we were mesmerised by the fireworks display. Everything just felt so good and it was like a dream come true, and I was glad to have my parents and my kids together with me. 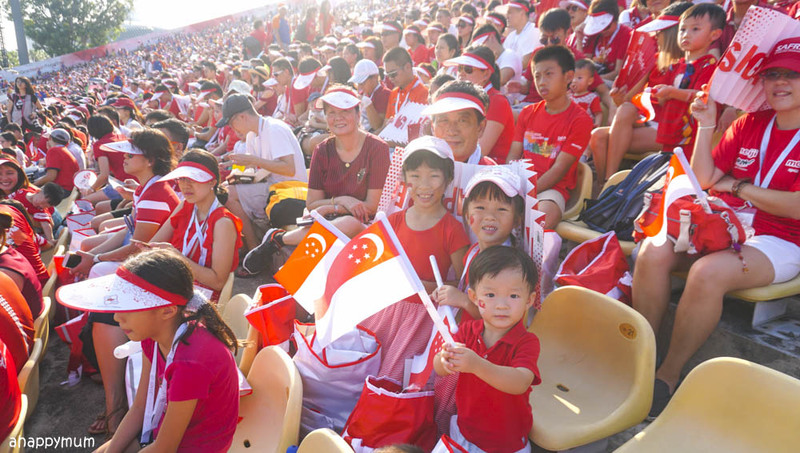 Here's wishing Singapore a happy 52nd birthday in advance, we love you so much! Thanks for giving us this wonderful place to call home! P.S. My kids are singing this song a dozen times a day! Yes, we are in the patriotic mood and can't wait for 9th of August to arrive! Disclosure: Our new running shoes are kindly sponsored by Skechers for the upcoming Shape Run 2017. All opinions are my own. Oh1 so nice photos! Your family is so cool! Would like to share this post with my friends from the supremedissertations service.